An angular composition that combines with ability Gres, wood and metal. 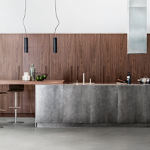 The kitchen with island in Gres hub is based on the D90 concept and equipped with shelves and doors, drawers and crates with a push-and-pull mechanism. 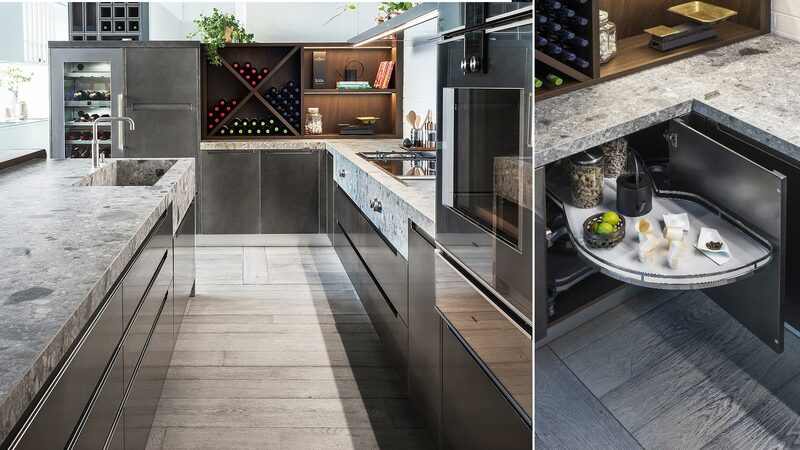 The worktop and the left side create a snack area made with thermo-treated oak-wood, a solution designed by HUB Kitchens. 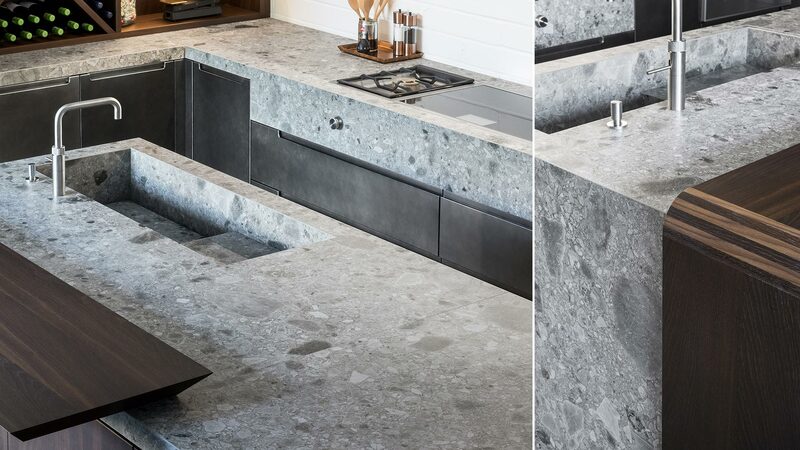 The angular composition, applying the D90 concept, features cabinets of different height and a base of low cabinets supporting the worktop made with Gres and equipped with two hotplates, an induction plate and a washbasin. 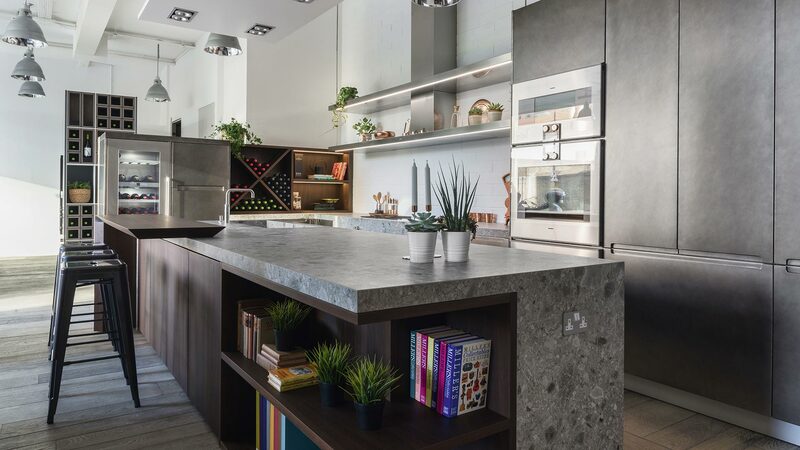 The high cabinets include a refrigerator, a freezer, a wine cellar, a wine shelf, a traditional and a steam oven as well as a food warmer. The hub features lacquered fronts with a stainless steel effect. Drawers, crates and the snack top are made with thermo-treated oak wood. 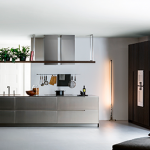 All low and high cabinets feature a lacquered surface with a stainless steel effect. 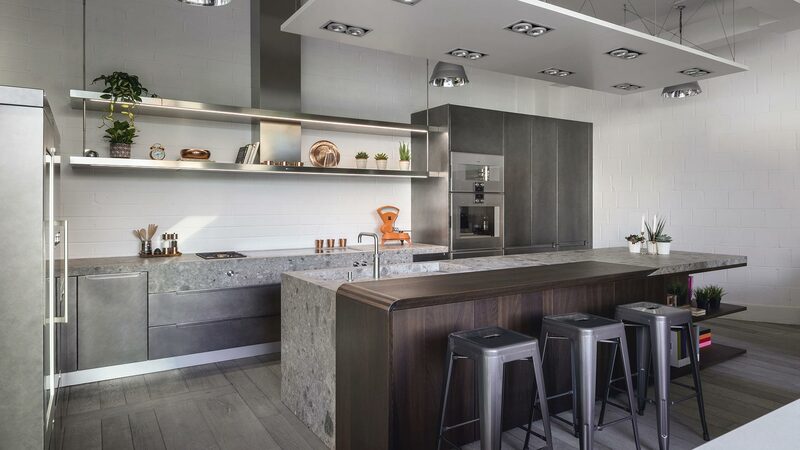 All kitchen appliances are made by Gaggenau.